Referred gallbladder pain is one of the trickiest problems for doctors to diagnose because it does not present where it should. When patients are in a lot of pain and show up at the ER, doctors will often look for a problem where the patient is complaining of feeling the pain. This can often delay treatment because organ pain can be referred or in other words, be somewhere completely unrelated to the organ itself. When the gallbladder is failing often people will suffer from hiccups, or severe heartburn and indigestion. Never once do people associate this pain with their gallbladder. Of course, when they start having pain in their sides, or back they will go to the ER and complain of stomach/back pain. Doctors will often assume they have what is called a stomach ulcer and begin checking the patient for this problem. Sometimes, a physical examination will be given and the gallbladder will be sensitive to pressure applied in the area. A CT-scan or ultrasound will be given to check for stones and/or sludge present inside of the organ. While both of these tests are excellent at picking up stones, sludge or problems within the biliary ducts they cannot tell if the actual gallbladder itself is not functioning properly. If these tests rule out a gallbladder problem the patient is then referred off to a different doctor, or simply given antacids to help the heart burn and sent home. 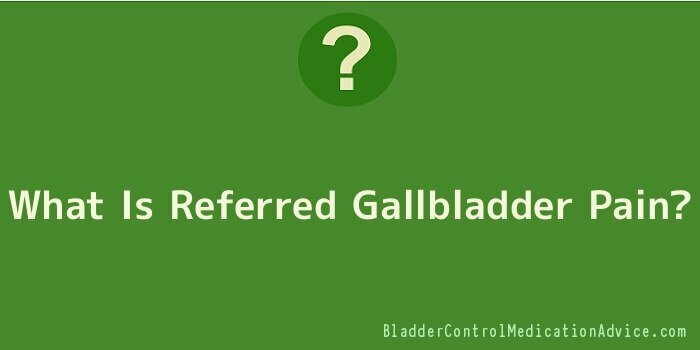 Once the patient has been referred off to a different doctor, it can take weeks or months for another test to be run on the gallbladder. Since referred pain will often point to another organ or muscle being the problem, doctors will often want to rule out any problems in that specific area before re-checking the gallbladder for problems. Referred gallbladder pain can make your shoulder, stomach, or even diaphragm hurt, and it is such a very rare phenomenon that doctors doesn’t even know why it occurs.